Kiri Tollaksen, a cornetto player for the Dark Horse Consort, tells Cara Lieurance about her instrument, her consort, and the special qualities of the Renaissance-era music they play, as she prepares to perform on the Bullock Performance Institute series at Western Michigan University on Wednesday, Sep 19 at 7:30 pm. An interview with Kiri Tollaksen. 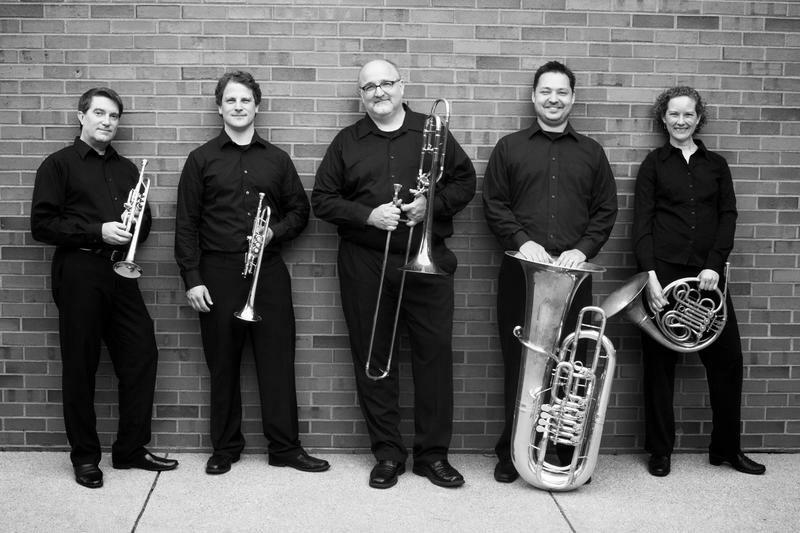 The Western Brass Quintet will perform original works by four composers tonight on the Bullock Performance Institute Series at Western Michigan University. 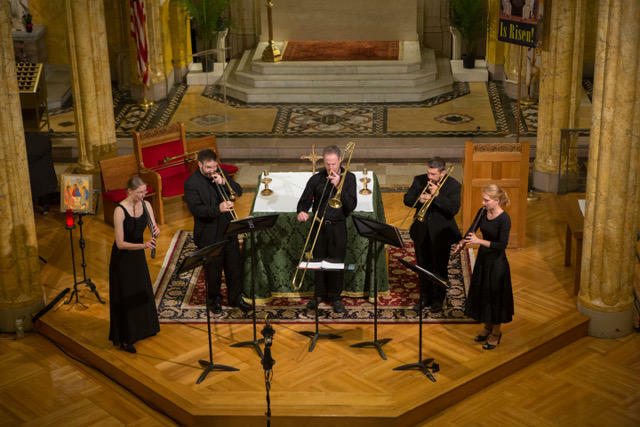 Trumpeters Scott Thornburg and Robert White discuss the works on the program, saying that the brass quintet as a form has allowed certain composers to experiment in unusual ways. 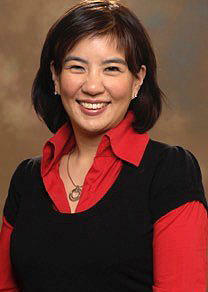 Tonight at 7:30 pm, pianist Yu-Lien The performs works of J.S. Bach, Carter Pann, and Robert Schumann in a solo recital that marks her return to the Western Michigan University School of Music, this time as a newly-appointed professor. Dr. The talked to Cara Lieurance about her years as a WMU graduate student and resident artist before she went on to earn her doctorate at Michigan State and later moved to Ohio, before returning to Kalamazoo in her new position. Her work as a pianist balances recitals, collaborating as an accompanist, teaching, and practicing - and she wouldn't want to give any of it up. Horn player/composer Jeff Scott and bassoonist Monica Ellis of Imani Winds joined Cara Lieurance for an update on their latest adventures before their concert in Western Michigan University's Dalton Center Recital Hall on Wednesday night. The groundbreaking ensemble, responsible for implementing new music, energy and identity to the classical wind quintet, has visited Kalamazoo a number of times in its 21-year existence, inspiring many young musicians in their workshops, master classes, and school visits. 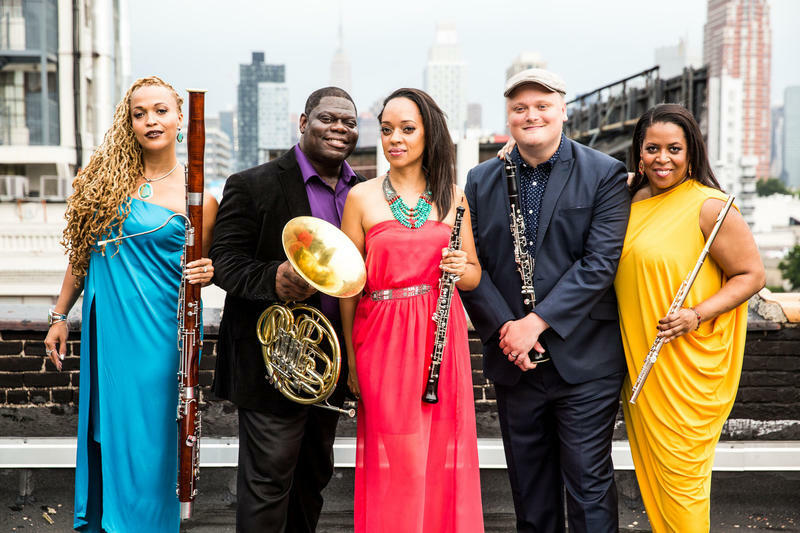 An interview with Jeff Scott and Monica Ellis of Imani Winds.